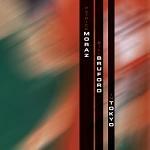 Review: "Moraz, Patrick & Bruford, Bill: In Tokyo" - Sea of Tranquility - The Web Destination for Progressive Music! Despite the artists involved, this is as straight a jazz record as you're likely to find reviewed on this site. Keyboardist Patrick Moraz and drummer Bill Bruford � both famous Yes alumni of course - made two albums of drum-and-keyboard based music in the mid 1980s that were well received at the time. Bill Bruford's own Winterfold label now releases this high quality recording of the duo performing live in 1985 at the Laforet Museum in Tokyo . It's a good sound recording of the duo performing jazzy numbers culled from their two studio albums Flags and Music for Piano and Drums. However, having said that it's fairly straight jazz, it does have some nuances not commonly found: the first is that Moraz often uses a number of keyboards and synths and the second is that on "Cacha�a" and "Galatea" in particular Moraz develops the most sumptuous melody on the piano. These, and other minor nods towards the duo's "progressive" heritage mean that, if you are a newcomer to jazz but are interested in a gentle "dipping of the toe" into the genre, then this is the album for you. The playing from both masters is always pleasant, intriguing and enjoyable. Bruford plays on a range of acoustic and electronic drums and Moraz uses piano to great effect, as well as an array of keyboards. The "melodic interlude" that I've referred to above sets those two numbers apart from the other, jazzier ones, so that the album becomes, in effect, a sweet melodic sandwich made from thick jazzy bread. It's a lot more pleasant than it sounds! It works well both as a background piece of music that you can be listening to whilst working on some chore, or as one which allows you to derive enjoyment by listening intently to the subtleties and technical skill of both players' performances. All you guys who are into jazz or thinking about it, you'll enjoy this! Close to thirty (!) years ago, two Yes alumni, from different line-ups, partnered up as a new instrumental duo. Swiss pianist-keyboardist Patrick Moraz filled the void left by Rick Wakeman for Relayer, and Bill Bruford recorded with Yes up through the milestone Close To The Edge before he jumped ship and made history again with King Crimson. By the early '80s, Moraz was well into a solo career and had also joined the Moody Blues, while Bill Bruford had already added U.K., Genesis � he was Phil Collins' drumming foil on the Trick Of The Tail tour � and his own fusion quartet Bruford to his resum�. Both men shared a passion for progressive and jazz musical styles, and both embraced the new advances in electronics that allowed for a wider sonic palette in the realm of composition. In the mid-2000s, Bill Bruford kickstarted his self-owned labels Summerfold and Winterfold with the intent of reissuing the four Bruford albums, the first three Earthworks albums, and both albums he recorded with Patrick Moraz, Music For Piano And Drums and Flags. Now the Moraz/Bruford mini-discog can boast a third member: In Tokyo resurrects the duo's Tokyo '85 gig on the fourth of July at the Laforet Museum in Akasaka. In addition to acoustic piano and drums, the full spectrum of electronic keyboard and drum sounds as M/B employed them back then has aged rather well. From "Blue Brains" to "Eastern Sundays" to the Max Roach-penned title cut of Flags, fans of this short-lived yet prototypical progressive fusion project can relish the nuance-drenched compositions as delivered with live energy. Patrick Moraz's colorful, precise synthesizer articulations and solos were as much an attractor here as Bill Bruford's well-honed technique. Three pieces brewed solely on Moraz's side of the refinery can also be heard on In Tokyo, one from his first, now-classic solo album, The Story Of i � "Cacha�a" � and a pair from his arguably best, untitled third solo from '79 � "Jungles Of The World" and "Temples Of Joy." These versions are unique to this recording, to say the least. With such a dynamic, one must wonder why something from Future Memories II wasn't played, either. With no other release slated for this timely duo, In Tokyo should be looked at as another essential "one of a kind."